Inside: Unique gifts for men who have everything. These unique gifts for men will delight your father, brother, partner, co-worker and adult son. There is a unique gift for every man on your list. 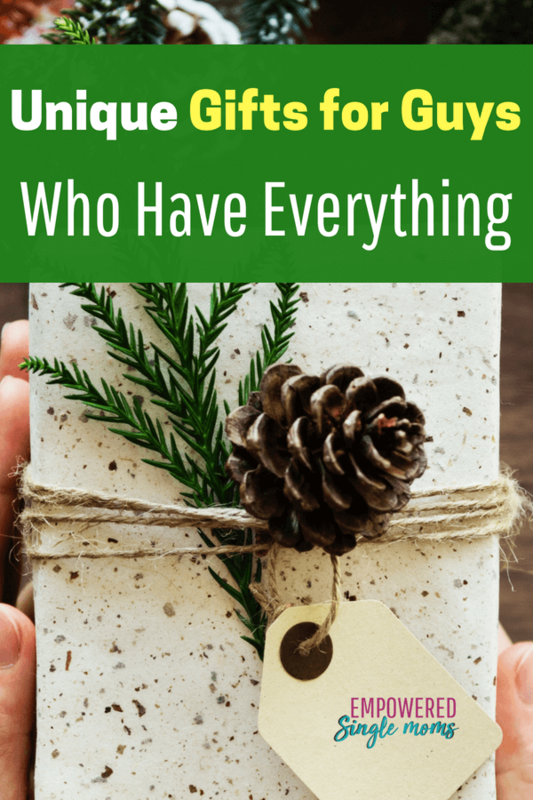 Do you need help finding a cool Christmas or Birthday gifts for a guy who have everything? Look no further. Here are the best gifts for guys when you need a Christmas, birthday or Father’s Day gift. 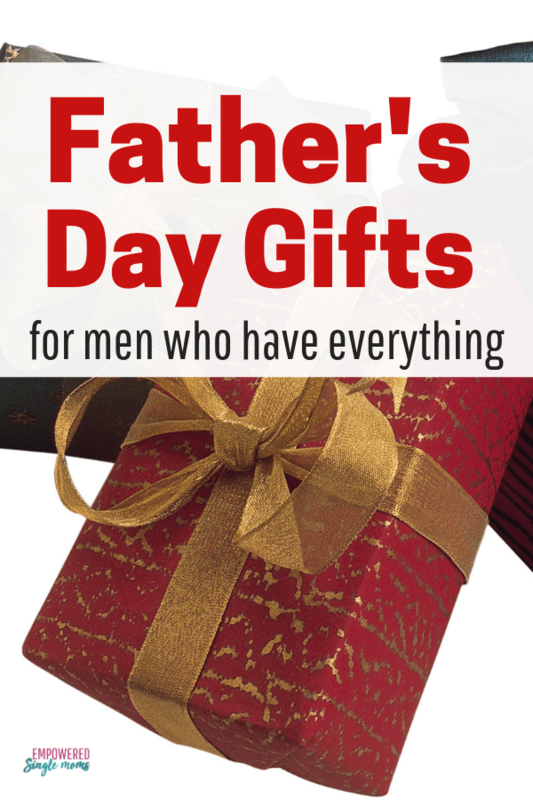 Whether it is my dad, brother, partner, coworker or adult son I think it is hard to think of cool gifts for guys. It seems like guys have everything if they want something they buy it. Or if it is something for their hobby they have it already. In the rare case when a man in my life wants something for his hobby I usually need major help. I not only need him to tell me what he wants; I need a picture. I need to show the guy at the sporting goods store what it is so I don’t come home with walleye lures for the muskie fisherman or the wrong kind of saw. Who knew there could be so many different kinds of saws. It is okay to take a picture of the wanted gift to the store, but not very surprising to the receiver. In an attempt to help you out I told the men in my family I wanted some help with gift ideas to share with you for the men in your life. It should have been an easy question right? 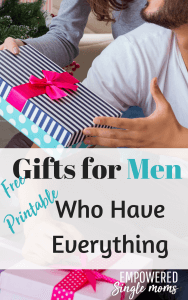 Not so much, the original answers went something like this, no response at all, “it has to fit the man you can’t just say a gift is for any man.” “Have him make a list and pick something.” How was I ever going to come up with cool gift ideas for guys who have everything with this kind of input? Ok, all that did was confirm why men are hard to buy for. I found it very unhelpful in trying to figure out unique gifts for men. After more conversation and asking some male friends, I got a little more help. “Something for hunting, fishing or golf that covers any man I know.” However, I must warn you 3 of the men I asked are not into hunting, fishing or golf, so sometimes that works sometimes not. Two who are into hunting & fishing have every conceivable accessory made for hunting & fishing, except for possibly a new boat and another gun. Not that I think either is necessary and both are way out of my budget, but what can I say. Before we get to the gadgets here are some cool gifts for the sports guy. I must admit my first thought when this was suggested was, “Huh? What are you talking about bathroom gadgets, but I did some searching and I found some fun gift idea for the men on your list. 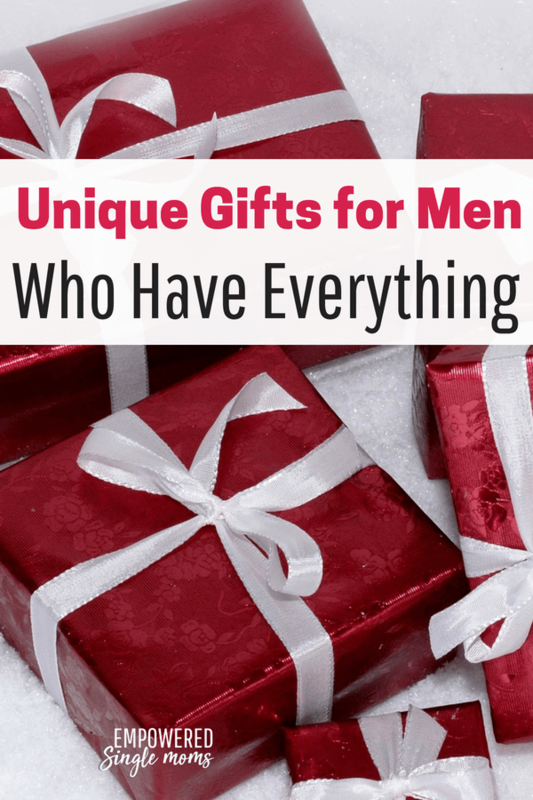 These are perfect for the men who have everything because no one really needs them, but they are unique gifts for guys who have everything. I bet he’ll love these gadgets. Probably only if he is single. I doubt the woman in his life would appreciate this. This is definitely a gadget for a guy who has everything. Who knew you could find so many gadgets for a bathroom. This one is also a little weird, but your guy will probably think it is cool if he likes to play practical jokes. In case he wants to work on his golf swing. You can get a drone at a low, medium or high price point. 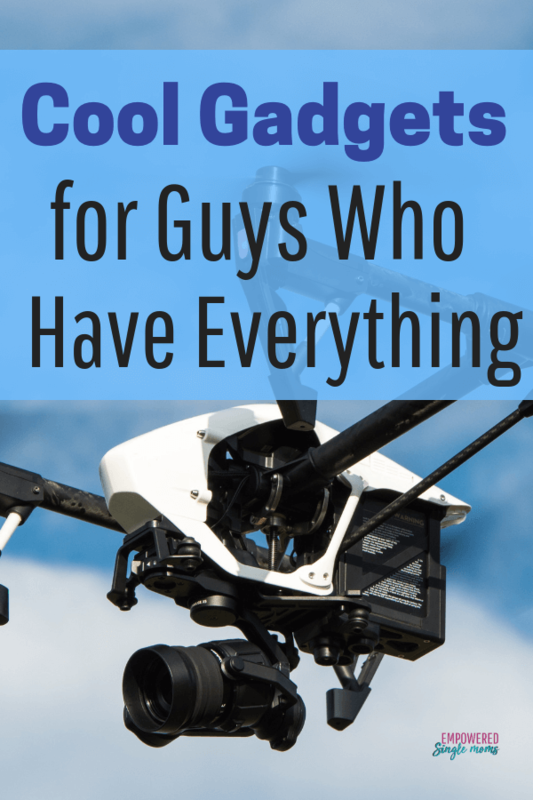 Check out the prices on these drones and surprise the guy in your life with the coolest of gadgets. Try Ebates and save money when you shop online. Is there a tool he wants, some kind of special saw or something for a project he is planning. That would be a unique gift for your special man. Most men have a favorite brand of tool, so pay attention to that too. You may have to get specific directions from him on this one unless he has a buddy who can help you out. I put multi-purpose credit card tools in my college son’s stockings one year and one son proudly told me he had used it 3 times the first week. I couldn’t find the one I bought, but it was like this one. This is one of my favorite things and if your guy spends any time in is car commuting to work or driving as part of his workday it is the perfect thing to get a mini vacation by listening to a favorite book. Ninja Blender, it is head and shoulders above other blenders, perfect for smoothies, homemade hummus, and salsa. This is a great gift for a single guy, who doesn’t have a well-stocked kitchen. This a great choice for a single guy or a guy who wants to learn to cook. Try this one or make grocery shopping a breeze with this. Accessories for his hobbies, you’ll probably have to ask him or a buddy who does the hobby with him, if he hasn’t dropped a hint. For a hunter or fisherman, these socks are extra warm and he probably won’t think of them himself. For the dad or grandad take a picture of the kids or grandkids decked out in something that connects with him. Is he into motorcycles? Dress them up in biker gear. Is he a hunter take a picture of the kids in camo with a couple of his guns. I know it isn’t the family photo the ladies might choose, but it is a gift. Books like this one that is on the list of one of the men in my life. 12. Luxury sheets these are a great upgrade from the cheap scratchy ones and are currently a good price. Do these things yourself or pay for this service to do it for you. Maybe guys are easier than I thought. Try some of these ideas and let me know what the man in your life thinks. I’d love to hear about it. If you need to mail some gifts try Amazon Prime and shipping is free in the United States. These are like having your own personal assistant. I got the women’s version of these a few years ago and wore them out. I bought myself a pair to replace them. They are my favorite slippers ever.